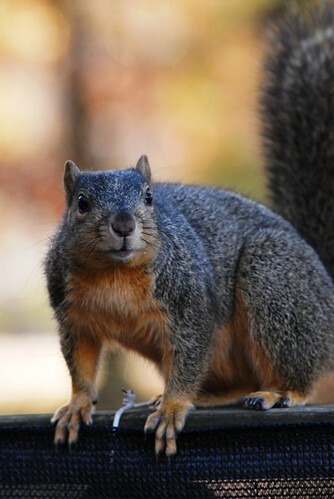 Squirrels in Texas are so big, it would only take one of them to make a pot of stew that could feed 20 hungry cowboys. 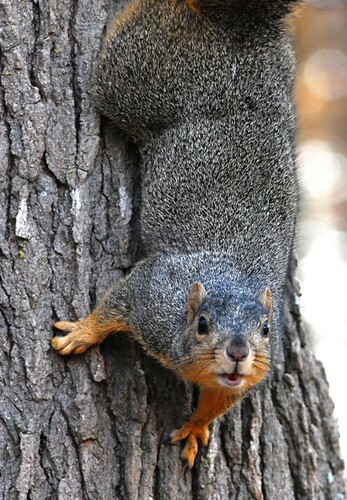 I saw this squirrel high up in a tree, and like the good squirrel hunter that I am, I stood as still as a statue and waited for the little critter to come to me. I was standing so still, I believe this squirrel thought I was a tree. I'm quite sure he was trying to make up his mind whether or not to jump on me. I'm happy to report he didn't.